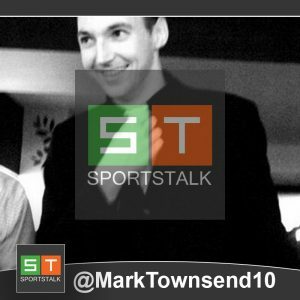 Sligo’s Jacqui Mulligan joins the SportsGirls Podcast this week. In 2005 Denis Walsh of the Irish Times penned the seminal book “Hurling: The Revolution Years”. It was an excellent account of the uprising that occurred in the nineties as the “traditional” counties of Kilkenny, Cork and Tipperary were overturned by the likes of Offaly, Clare and Wexford. But Walsh did not just focus on the All-Ireland winners of the era, but also Waterford, Kerry and Down, who made great strides through the decade. But there was one side from the time, who were conspicuous by their absence. Throughout the 1990’s the Laois hurlers stood on the cusp of a breakthrough. On at least three or four occasions the side seriously threatened a landmark victory but came up agonizingly short. Nowadays the county, who last reached a Leinster final in 1985, seem further away from a landmark victory than ever. Throughout the decade Portlaoise’s Niall Rigney was a stalwart for the team. He played for 14 years from 1988 to 2001, and although he never managed to make it to a Leinster final, his own personal standards never wavered. Despite never playing often enough in summertime to win an All-Star award, he was always one of the top hurlers in his own county, if not the whole country. He was a regular member of the Leinster Railway cup squad. Nowadays,it may seem ridiculous to think in terms of Laois reaching All-Ireland, or even Leinster finals, but that wasn’t always necessarily the case. The history of Laois hurling in the 90’s is one of a series of near misses. In 1993 they were beaten by an excellent Wexford side in the Leinster Championship by just 3 points, having had a man, Mick O’Hara, sent off, midway through the second half. In 1995 they came even closer. Kilkenny, who were the incumbent national hurling league champions and All-Ireland winners just 2 years previously, were strongly fancied to hammer the O’Moore men in the Leinster quarter-final in Dr Cullen Park in Carlow. To make matters worse for Laois, they lost their free-taker and most important forward, David Cuddy, to appendicitis on the eve of the game. But from a position of hopeless underdog, Laois managed to produce a performance of passion and grit to shake the most successful hurling county of all time to their very foundations. After 8 minutes Declan Conroy put Laois in the lead with a superb goal. They led at half time but were pegged back by a goal by championship debutant Denis Byrne. But the midland side were nothing if not spirited and edged in front once more through a goal from Fint Lalor. But just when their supporters could almost, almost, smell the victory in their nostrils a certain Denis Joseph Carey entered into the scene. Going on one of THOSE runs, and giving one of THOSE handpasses. And Denis Byrne was again on the end of it to finish it off. And if you were in any doubt as to how impressive it was, just look at the video. Even at that, Laois still had a chance in the final minute to nail a winning goal, but Joe Dermody pulled off a stop from Fint Lalor and Laois went home heartbroken again. You think it’s fanciful that Laois could ever have been a top hurling side? Well, if you’re under 25 or 30, you may believe that, but then, you’re also the kind of person who never remembers a time when Waterford weren’t any good. Nowadays it’s customary to see the Deise compete in All-Ireland semi-finals, or even finals, on a regular basis. But throughout the nineties, Waterford hurling was in dire straits, with a first round championship exit almost exclusively their lot. Their record in the championship was scarcely better than Laois. But the exact moment when two roads diverged into a wood can be pinpointed: the summer of 1998. Waterford had won an All-Ireland under 21 title and competed in the All-Ireland minor final of 1992, but their record in the Munster senior championship was woeful. They even lost against Kerry (yes, the guys who’s football team you’ve seen) in Walsh Park in 1993. And they were hammered by Tipperary by 21 points in 1995. But in the winter of 1997 Gerald McCarthy and the Waterford management team began to take the sides preparation extremely seriously. They implemented a new intense training regime, whereby every player was placed on the, then revolutionary, Nutron Diet. And mercifully for them, their endeavour was rewarded with a memorable three point victory, over their old overlords Tipperary in the 1998 championship. Not only that, but the side almost won that Munster final against Clare and hammered Galway in the All-Ireland quarter final. So from a place where the county hadn’t won a Munster final in 45 years, they found themselves in an All-Ireland semi-final where they barely came up short. And while the end result was agonizing, the confidence and belief gleaned from such a run, has managed to sustain the county at a highly competitive level for the last 2 decades. 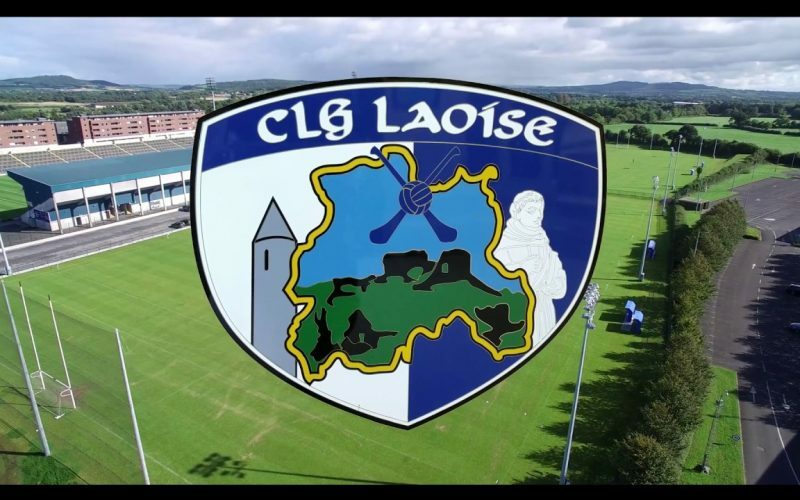 Meanwhile in Leinster, Laois, who had just been pipped by a point against Offaly the year previously, faced into a Leinster senior hurling semi-final against Kilkenny in Croke Park. Hard as it is to believe it, Kilkenny hurling in the summer of 1998 was not in a good place. Kevin Fennelly had taken over as manager from Nickey Brennan the previous summer, and the transition had not been easy. They had undergone a terrible league, losing all but one of their games and finished bottom of their group. Not only that, but Laois had managed to beat them in the springtime for the third time in 5 years. Yes, that’s Laois, beating Kilkenny, in the hurling league, three times in 5 years. And the Cat’s star player DJ Carey had infamously retired that February, only to return, even more dramatically, just a few months later. So when the two sides faced up to each other in Croke Park in June there was the hope, nay expectation, on the Laois side, that victory would be theirs. And it so very nearly was. Trailing by just a point at half time the underdogs put on a sterling display in the second half to lead by 3 points in the last few minutes.They then missed 2 further chances to go even further ahead. But then, just as it so often did in the history of Laois hurling, fate intervened. From a long Pat O’Neill free, Kilkenny sub Ken O’Shea latched onto a loose ball. Rather than take a point to reduce the deficit to two, the Dunnamaggin man decided to shoot for a goal, and somehow, the ball managed to scramble its way in. From there, Kilkenny managed to tack on a further three points, and what looked like a famous Laois victory, instead ended in another familiar hard luck story. So just cast your mind back to that summer for a minute. Colin Lynch flaking the legs off Tony Browne. Offaly manager Babs Keating calling the county hurlers “sheep in a heap”. Johnny Pilkington firing back at his manager in a national newspaper for calling them such. Babs getting sacked mid season and being replaced by a guy called Bond: Michael Bond. Waterford reaching their first All-Ireland semi-final in 45 years. Ger Loughnane giving a state of nation address on Clare FM, berating the Munster councils treatment of Colin Lynch as “criminal”. Jimmy Cooney blowing up the All-Ireland semi-final replay between Offaly and Clare early. Offaly going on to win that second replay by 3 points, then subsequently winning the All-Ireland and becoming the first team ever to win an All-Ireland despite having lost 2 games. When you think about it, it was probably the most dramatic summer of hurling anyone can remember. Now just imagine, just imagine, if it wasn’t already interesting enough, that another variable had been thrown into the equation. Just suppose that Laois had held out for those last few minutes against Kilkenny in the Leinster semi-final. They would have then faced into a Leinster final, against an embattled Offaly side in the middle of an unsustainable stylistic change. A game Niall felt they were “definitely good enough” to win. So you could have, nay should have, seen Laois walking up the steps of the Hogan Stand in 1998 as Leinster senior hurling champions, and facing into an All-Ireland semi-final against, of all teams, Waterford. Two teams who had never played against each other in the championship before then. And whatever about what was happening in the other semi-final between Offaly and Clare, THAT would have been a hell of a story. How would history have been rewritten then? “I would have played Kilkenny for 8 or 9 years up to that stage and I would never have feared them because I would have always felt Kilkenny had brilliant skilful players but they weren’t tough players. We could dominate them physically, but when Cody came in all that changed. He just brought that huge level of intensity, that is now in place for the last 20 years. So while the teams that played in the 1999 Leinster semi-final were the same as the year previous, the paths they were on were going in vastly different directions. The game got off to a bad start for the Laois men. Their usually reliable keeper Richy Cashin made an error from an Andy Comerford sideline in the first minute which resulted in a Kilkenny goal. A revitalized DJ Carey got two more goals in the first half. In addition Henry Shefflin was enjoying a sparkling championship debut from placed balls and play. By the end the scoreline was a scarcely credible 6-21 to 1-14, a 22 point defeat, barely recognizable from the mere 3 point deficit of the previous year. All the momentum, all the hope of 1998, had been lost. Though Niall played on for another 2 years, losing narrowly to Dublin in 2000 and Wexford in 2001, the chance for a breakthrough signature victory was gone. Laois hurling returned to the sidelines, just like it has been for most of it’s life, apart from that singular All-Ireland triumph of 1915. Was it all just merely bad luck? Well, not exactly. Laois club hurling had always been a little too, eh…. competitive. Just like the Galway club scene for years, that was more of a help than a hindrance to the county, and the infamous Galway club final of 2006 between Loughrea and Portumna, there was a similar final in the midlands that didn’t exactly build bridges in the county team. Along with in-fighting and lack of squad depth, lack of playing numbers was also a problem. In a county with a population of just over 80,000, with a strong footballing tradition (they won the Leinster senior football title in 2003 and were All-Ireland minor football winners in the mid 90’s) Laois hurling has always been something of a poor relation. But whereas the footballers had their own mini-revival under Mick O’Dwyer, the hurlers have never had their day in the sun. After an extremely lean 00’s there was a second revival in the midlands in the early part of this decade, thanks to the wonderfully named Seamus “Cheddar” Plunkett. In 2013 the side were beaten by 7 points by Galway in the Leinster championship, but the next year they got even closer, just being edged out by 2. And in 2015 they managed to beat Offaly in the championship for the first time in 43 years. Since then there has been a slight downturn in fortunes as Cheddar’s departure was followed by a spate of retirements. Stalwarts like Tommy Fitzgerald, Mick McEvoy, James Walsh, Joe Fitzpatrick, Brian Campion departed stage left. The average age of the Laois side is now just 21 or 22, whereas the majority of inter county teams have a median age of 27. So from a point in the 1990’s, where Laois were regularly pushing Offaly, Wexford and Kilkenny, All-Ireland winners all, to the pin of their collar, the county now find themselves in the secondary competition of the Joe McDonagh cup for the coming season. The recent league campaign was a bit of a mixed bag, as they struggled to win games in the group stage, but managed to stay in division 1B with a last gasp victory over Antrim. 20 years ago they were being beaten in Croke Park by 3 points by Kilkenny. Four years ago, they were just edged out by 2 points in O’Moore Park against Galway. Always thereabouts, but never quite there. It’s the story of Laois hurling. That signature victory still eludes them. Here’s hoping that one day, one day soon, they’ll get it.